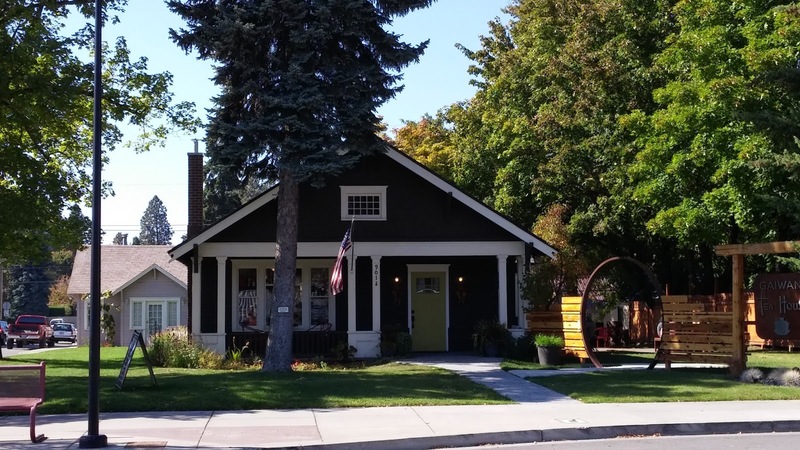 If you're just joining me, last week I decided to showcase some of my favorite places in Coeur d'Alene, ID along with some of my favorite books in Part 1 of My Favorite Things. Today we pick up with my last four places/books. 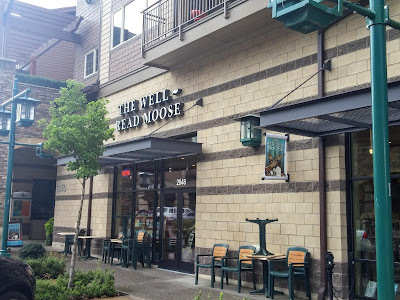 There are many wonderful coffee shops in Coeur d'Alene. But did you know there's also a fabulous tea house? 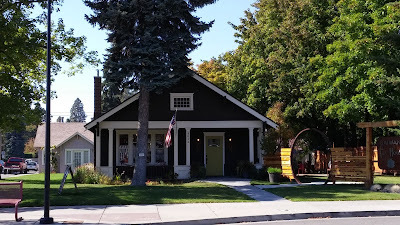 Don’t miss the Gaiwan Tea House in the Midtown area of Coeur d’Alene at 901 N 4th St. If you think tea isn’t your thing, don’t be so sure until you’ve sampled some of the delectable selections of loose teas in Gaiwan’s tranquil setting. This is one of our favorite hangouts. My sisters, daughter, granddaughter, and I like to sit in one of the tea rooms on the seagrass poufs at low tables and share a couple different tea pots. If you prefer outdoor seating, you’ll love walking through their moon gate to a shaded, hidden garden. In the summer, I like to cool off with a Desert Rose, an exotic blend of black and green tea with rose water or the filling bubble tea. Delicious! The hot tea is good anytime. It's difficult to whittle down a favorite, but Blueberry Rooibos, Black Almond Berry, and Bird of Paradise are just a few. Try a pot of Blooming Tea and watch a nice surprise unfold. Blueberry Rooibos Tea and Interior of Gaiwan Tea House. A book I found to be a nice surprise was Moloka’i by Alan Brennert. The description may sound a bit rough, but it’s a good book. It’s about a young girl taken away from her family when she’s diagnosed with leprosy. She’s sent to live on the leper colony in Moloka’i, Hawaii. This story is touching, and most definitely unforgettable. Read the full review by clicking on the title. Ready for a meal and a thirst-quenching beer? Look no further than Daft Badger Brewing tucked away in a Midtown neighborhood at 1710 N 2nd St. This brewpub has a cozy atmosphere and, of course, tasty beer. My husband is an IPA man, but I like the milder versions. In the summer the seasonal All Hucked Up was my beer of choice. We both love the smoked meats at Daft Badger. Who’s up for huckleberry-chipotle glazed smoked bacon? And Mamma Mia, the turkey or pulled pork sandwiches with arugula salads are mouth-watering good! Every once in a while we veer from our favorites to try the specials and we have not been disappointed yet. Just talking about their food makes me hungry. Split Order of Smoked Turkey Sandwiches with Badgers Bounty IPA. And that brings me to another favorite book, The Hundred Foot Journey by Richard C. Morais. It’s about an Indian family who moves to the French Alps. They open a loud and lively Indian restaurant, and that means war for the snooty owner of a dignified French restaurant right across the street. It’s a good story, but don’t read on an empty stomach, because this book will leave you drooling as they describe all the savory dishes being served. Click on the title to read the review. Check it out. The Strada Caffé in Midtown at 1830 N 3rd St is an old Oil Can Henry’s converted in to a coffee shop! The inside has a mix of metals and woods with a giant fireplace that give it a unique and comfy vibe. In the summer, the giant glass garage doors open to let in the breeze and sunshine. My go-to drink is the Felix, a white chocolate Mexican mocha. Sometimes I’ll switch it up and get an Affogato—vanilla gelato floating in a “Cuban” espresso, oh yeah! While you’re there, be sure to walk around the block and take a peek at the huge antique shop, the Paris Flea Market. It’s located in the strip mall right behind Strada Caffé at 1815 N 4th St. Wander through vendor booths that take you back to another time. They have so many unusual things there. When we were renovating my mom’s bungalow, we seemed to be there all the time looking for hard-to-find vintage hardware and doorknobs. They also have big bolts of fabric at great prices! When I’m looking to reupholster a chair or other big project, that’s the first place I check for fabric. I love this store. It's so much fun to check everything out. Speaking of love, I fell in love with the book, City of Thieves by David Benioff a few years ago. It’s set in WWII Russia where two men are sentenced to death. Their only hope for survival is for them to obtain a dozen eggs for the wedding cake of a powerful Soviet Colonel’s daughter—an almost impossible task that takes them through some hair-raising and horrifying adventures. At times it's a bit morbid, but the narration is funny and engrossing—hard to put down. My husband gobbled this book up, too. Click on the title to read the full review. For reading enthusiasts, what’s a better way to end a tour of Coeur d’Alene than at a book store? The Well-Read Moose is an independent book store in the Riverstone community where there are restaurants, stores, a park, movie theater, and homes. At 2048 N Main Street, you’ll find book heaven. This store is stocked with the latest and greatest novels and non-fiction. Short reviews are posted next to books all over the store to pique your interest, and the friendly staff is always ready to help if you can’t find what you’re looking for. With a coffee and wine bar, this store is the complete package. I could spend hours there….and I have! Our book club meets there regularly. My favorite drink which I order at almost every meeting is the Johnny Appleseed, a hot cider with a caramel kick. But I’ve also sipped on mimosas while discussing our book selections. Pumpkin Scone with Johnny Appleseed Hot Cider. One book that we read and all really liked in our book club is Falling Leaves by Adeline Yen Mah. This is a memorable memoir about a girl growing up with a vindictive, conniving stepmother. It’s about one girl’s basic struggle for love and acceptance—as compelling and unforgettable as The Glass Castle by Jeannette Walls. Click on the title to learn more. As a side note, a few of us like to ride our bikes to the Well-Read Moose for our book club meetings. 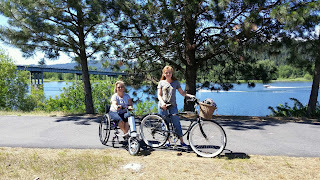 We take the bike trail starting at North Idaho College along the Spokane River—about two miles to the Moose. Such a scenic ride! Right at the beginning you’ll pass the back of the CDA Treatment Plant, and although you might not want to linger there too long be sure to slow down enough to read their amusing signs. In the fall, check out the giant pumpkins growing in a patch by the fence. Coeur d’Alene has a lot to offer. I could go on and on, because there are so many more places I love to go to. But at least I’ve given you a few ideas if you’re out and about in this area. And if you’re too far away to visit at least you can check out some of my favorite books mentioned. Enjoy! I just love your blog. 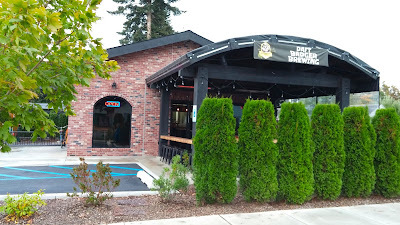 Thank you for all the book reviews and I just love these last two post's about your top 10 places in Coeur d'Alene. You always make me want more. What's next??? Thanks, Denise! I always appreciate your support. :) Not sure what's next....but stay tuned. Nice post! And really cool photos! I loved this! I wish I had places like this in my neighborhood!